The battling Irish retaining the same lineup again, narrowly missed making the semifinal at the Edinburgh Seniors International. 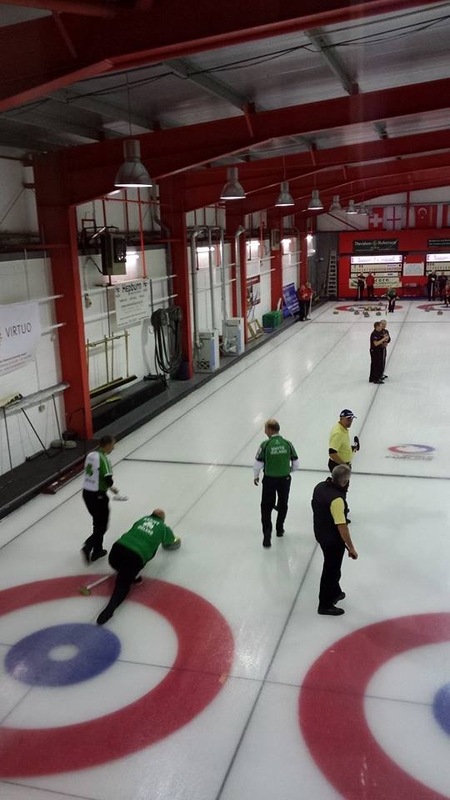 They were drawn against Graeme Adam’s Greenacres rink and after a nip and tuck game which included the guys narrowly missing out on a big 4 in the 5th end, it came down to the last two ends. At the seventh, 1 down, JJ had the option of drawing for a two or taking his last stone out for a blank to retain the hammer. A draw for two was the decision. In the last end – one up – Neil’s first stone picked up which was a bad sign for later. After a few stones Adam lay shot and guarded. JJ drew down to lie shot whereupon Graeme Adam played an excellent raise to pick out Johnjo’s stone. Attempting to play the same shot, the unfortunate Irish Skip suffered a pick-up to leave the Greenacres team with a free draw to score two and win. They tried hard to redress the balance but Adam’s final stone stopped just in time (by just a couple of inches) to break Irish hearts!! This was a particularly gutting way for the guys to go out but there were huge positives to take away from the weekend. The former World Champs began their competition with a match against John Summers English Senior hopefuls at Murrayfield yesterday. The line up of David Hume, Neil Fyfe, Bill Gray and Johnjo Kenny started with a whimper, losing 8-5 but gaining 4 important ends in the process. Going 4 down after 2 ends, both with the hammer, was not the best way to start but the guys stuck to the task despite some good play from the English who it has to be said had their fair share of rubs. The 4 game schenkel system is not to the Big Man’s liking and despite the old adage of ‘if you’re going to lose a game in a schenkel, lose the first one’ the team realised that a second game against Gary MacFarlane was going to be a stern test. This turned out not to be the case as the revised line up of Neil, David Whyte, Bill and Johnjo raced to a lead of 8-2 after only three ends thanks to a superb big 5 in the third end. 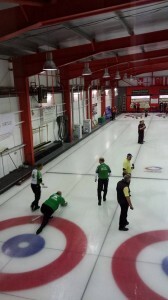 The men in green were always in control from this point and ran out comfortable winners by 11-5 again winning 4 ends. This was a much more satisfactory result which left the team ranked 4th in the section on ends. Two more games today will hopefully see the boys qualify for the quarters on Sunday morning. The 2012 mens world senior champions will be representing Ireland in the Edinburgh International Seniors Championships from Friday, November 22 to Sunday, November 24, at Murrayfield Ice Rink. The team, skipped by Johnjo Kenny, are in Section A along with rinks skipped by Robin Aitken, Gary Macfarlane, Ken Watson, Ian Gillespie, John Summers, Alastair Smith and Alan Durno. In Section B the line up is Norman Brown, Russ Armstrong (who some of us will remember playing for the USA at the Silver Broom in the Kelvin Hall in 1985), John Dignan, Jim Stirling, Keith Prentice, Michael Sutherland, Graeme Adam and Archie Craig. The team’s first game is against well-known English senior player John Summers and his team at 12.30pm on Friday, with their next draw at 5.45pm. Saturday sees them on the ice at 9am and 2.15pm. The quarter finals are at 9am on the Sunday with the semis at 12 noon and the final at 3pm. LK – Who do you see as the danger teams at Murrayfield this weekend? JJK – All of them! I never look past the first game in the draw and that will be difficult enough against John Summers’ England team. LK – Who will be playing this time and the advantages (and disadvantages – if there are any!) of a 6-man squad? JJK – The advantage is that we can sometimes get a team on the ice! We have only had 5 scheduled games this season and have never had 6 to choose from. I missed 3 games with work commitments at the European Invitation, David Hume is just back from white water rafting round the southern hemisphere and this week Tony (Tierney) is committed elsewhere. The 6 man squad came about due to a number of factors and I think it is working well for us. Neil is enjoying our laid back banter so far (I think) so no disadvantages so far! 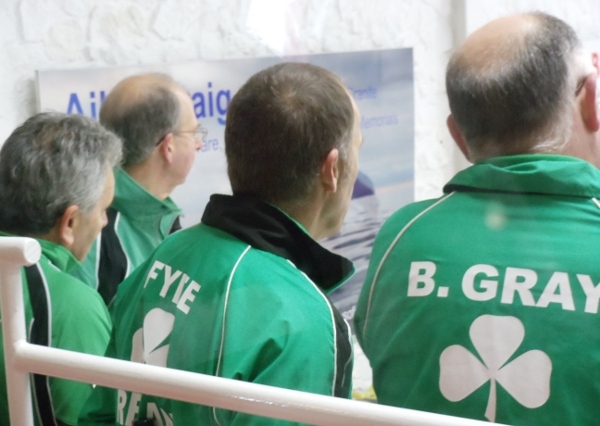 LK – Any plans for further competition or training session between the end of the Edinburgh International and the Irish Senior playdowns in January? JJK – No competitions but hopefully practice…as much as possible!. Everything at this point of the season is really practice. We are trying to give Neil (Fyfe) as many games as possible as the newbie on the team and David Hume will be given the opportunity to find his ice “legs” again in Edinburgh. Emails and spreadsheets have been flying through cyber space for the past few weeks as we try and nail down some practice time, not with any real degree of success so far. LK – What are your goals this week? JJK – We are hoping (as always) that we will be a bit better than we were last time out and will target getting through to Sunday. It has to be said “schenkel” is not my preferred system of play but if we can negotiate our way to the knockout phase it will be a worthwhile exercise. We enjoy the pressure of knock-out games. California-based curler Katie Kerr is set to bring a bit of Hollywood glamour to the Irish Mixed Doubles Playdowns next month when she flies in to compete in the three-team challenge. 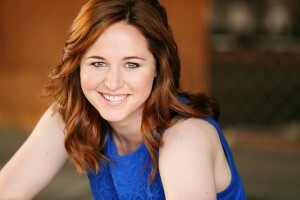 The 25-year-old actress from Los Angles is a member of the ‘Bond Girls’ curling team who have raised the profile of the sport on the west coast of America with the lethal ‘shaken not stirred’ cocktail of good looks, talent and enthusiasm. 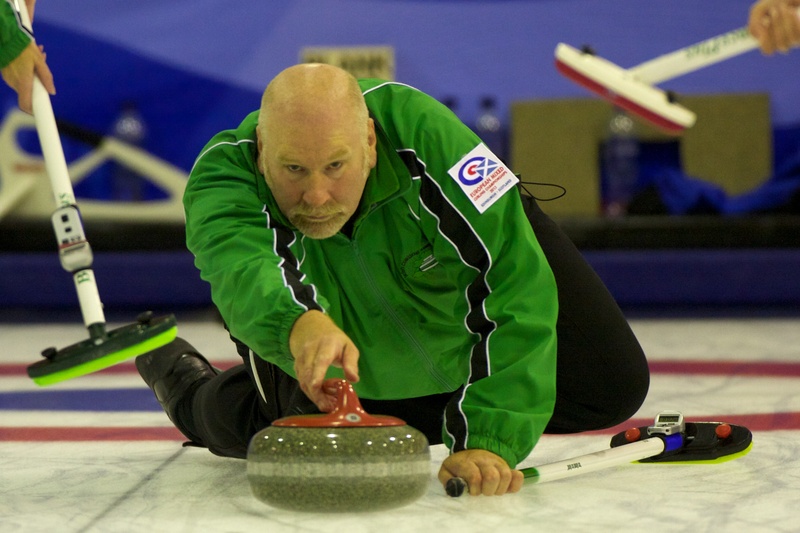 Katie, who has Irish grandparents, has teamed up with our very own ‘007’ Alan Mitchell for the Mixed Doubles at Dumfries Ice Bowl, December 7-8. A self-confessed “sports nut”, Katie says she played “every sport possible as a kid” and was recently chosen as one of the eight finalists in the LA Kings ice hockey team’s ‘superfan’ contest. In an exclusive interview with the ICA’s Blog’s answer to Miss Moneypenny (that’ll be me), Katie explains how on earth she got involved with curling……. “Every year during the Olympics I would become obsessed with curling and always wanted to try it. Like most children wanted to watch ice skating, but I always insisted on watching curling. I finally took my first ‘learn to curl’ in 2009 when I heard about Hollywood Curling and LOVED it, but it was tough to really play because I was still in college. Once I graduated in 2011 I joined the Bond Girls and started getting to really curl. Playing with the Bond Girls has been great because it has given me the opportunity to play around the USA and Canada- most importantly it let me curl on dedicated ice, which we don’t have in Los Angeles. “I joined the Bond Girls as their fifth and have been playing with them since then. Our home ice rink is in Los Angeles, California. We play in a league on Sunday nights, but since it is arena ice the conditions aren’t ideal. We travel as much as possible to play on dedicated ice since that really is the only way to improve your game. Though I will say the positive about learning on the worst ice ever is that is teaches you to handle any ice conditions and curling on dedicated ice is always a special treat! “My grandparents are from Ireland and I was able to obtain my citizenship through that. 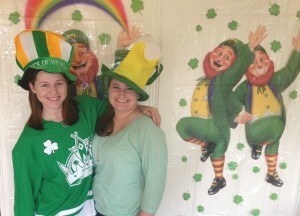 I have tons of cousins in Ireland and visited multiple summers throughout my life. My friends from Hollywood Curing, Matt and Jennifer Gamboa, moved to Scotland for the year and met Alan while curling over there. When Alan told them about the ICA they sent my information along to him and I instantly wanted to get involved! The Bond Girls came to Scotland to play in the Glynhill at Braehead in January 2012, read Bob’s Blog previewing their visit and check out the Bond Girls Facebook page. Rumour has it the man with the golden gun is on standby in case of call-offs. ICA calendar – any volunteers? made me think about raising funds for the ICA by launching our own version. Send your vital statistics and photos to either Christine or Louise and remember, the editor’s decision is final!